What is passive cooling and why you need it for your home! When you think of cooling your home, no doubt you think of appliances like air conditioners, fans and other devices. But, all cooling appliances consume energy in order to function. If you make use of appliances to cool your home, you are engaging in what is called active cooling. On the other hand, there also exists passive cooling alongside active cooling. As the name might suggest, passive cooling does not require any energy. By using passive cooling methods, you’ll be able to cool your home without racking up energy bills. As the owner of Global Shade, I always get asked about passive cooling shade solutions. Today I will explain more about passive cooling and I’ll tell you why it is important for your home. I’ll also recommend some of our shade products that aid passive cooling, so make sure to read through. Like I mentioned, passive cooling refers to the methods you can use to cool your home without relying on energy. Now, you may not be aware of it, but many homes in Australia are designed with passive cooling in mind. For instance, the orientation, windows and ventilation, shading, thermal mass, insulation and many other aspects of your home are designed for passive cooling. Passive cooling is very advantageous for your home. For starters, it is the least expensive way of keeping your home cool, both financially as well as environmentally. While passive cooling strategies can keep you and your loved ones cool, it will also keep your home cool. And, even if you do feel the need of active cooling, supplementing it with passive cooling will lower your bills. One thing to consider is that different areas of Australia have different passive cooling requirements. Areas which experience hot-dry, hot-humid and warm-temperate climates in Australia all require passive cooling. However, it is the hot-dry and hot-humid climates which absolutely need passive cooling techniques. If you’re thinking of employing passive cooling in your home, there are many things you can do. For starters, by improving the ventilation and airflow in your home, you will certainly get it to cool down. However, nothing beats shade products such as those we offer at Global Shade when it comes to passive cooling. 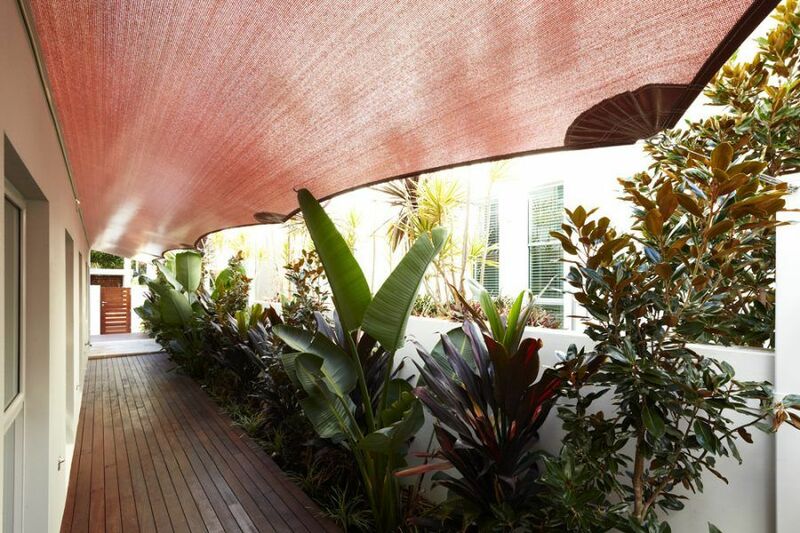 We offer a full range of shade products including shade sails, canopies and membranes, awnings and PVC blinds. While you can use our shade sails, canopies and membranes to shade large areas of your home, you can use our awnings and PVC blinds to shade your windows and openings. Our shade products are specially designed to offer maximum UV protection and maximum shade with maximum airflow. By using our shade products, not only will you cool your home, but you won’t spend anything on energy bills either. There are two ways of cooling your home – active cooling and passive cooling. Active cooling involves making use of appliances such as fans and air conditioners for cooling. On the other hand, passive cooling does not make use of any energy to cool a home. Passive cooling is the cheapest way to cool a home in both environmental and financial senses. Passive cooling can also help lower your energy bills as well. Most homes in Australia are designed with passive cooling techniques in mind. You can also make use of shade structures to aid passive cooling. Shade structures such as shade sails, awnings, canopies and membranes and PVC blinds all work great in passive cooling. Not only will they cool your home, but they will also protect your family from UV radiation. And, for all your shade structure needs, look no further than the shade specialists at Global Shade. To learn more about our passive cooling shade structures, contact us today!